The Canadian Radio-television and Telecommunications Commission last week announced much-anticipated plans to require cable and satellite companies to offer consumers basic television packages for an affordable $25 per month alongside the option of picking the television channels they want without requiring them to purchase expensive bundles. Despite some hand wringing that the changes will lead to reduced revenues for broadcasters, my weekly technology law column (Toronto Star version, homepage version) notes that it is readily apparent that the CRTC is committed to reducing or eliminating outdated regulations in the hope of fostering a more competitive broadcast environment. 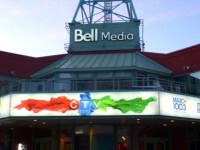 Consumer choice for television channels, greater flexibility for broadcaster programming, adjustments to Canadian content requirements, and the enforcement of net neutrality rules all fall within the same broader strategy of exercising its regulatory muscle to enable a level playing field and encourage the development of globally competitive content. What makes the latest CRTC decision particularly notable is that it identifies a new threat to a competitive broadcast environment. Much to the chagrin of many within the Canadian system, it isn’t Netflix. In recent months, seemingly everyone has had a turn taking shots at the enormously popular online video service: the Government of Ontario has called for a Netflix tax, Bell Media has asked for measures to block access to the U.S. service, and many creator groups have urged the CRTC to adopt new regulations for online media.